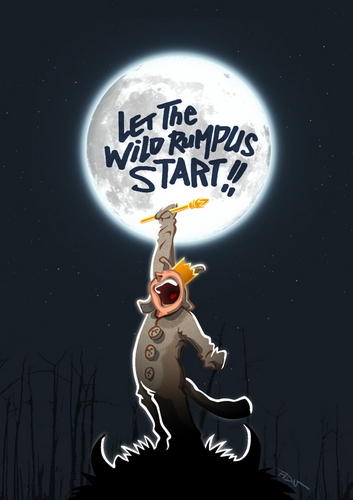 Let The Wild Rumpus Start!. "Let The Wild Rumpus Start!" 의해 ADN. HD Wallpaper and background images in the Where The Wild Things Are club tagged: where the wild things are maurice sendak 2009 film spike jonze fanart adn illustration. I love this. You are very talented. What software did you use to create this? I didn't realise you could actually draw in Flash. Did you do the colouring in photoshop? Base coloring in Flash. Effects in Photoshop.